Home Tags Posts tagged with "district"
Two years ago, Brent Barnes, a social studies teacher at Cleburne High School, decided he wanted his kids to have virtual reality access. He completed the Google Expeditions application to start the process. Thankfully, Cleburne High School was chosen, and Google provided an excellent VR demonstration to his classes and other social studies classes (more on Brent’s story in his own words below). This was the start of virtual reality within the district. The following are the experiences of Brent Barnes, who helped spark the district-wide VR implementation. My journey into virtual reality started at the TCEA Convention in 2016. I was introduced to Google Expeditions by the Google for Education consultants who were present. Google demonstrated the Everest expedition with a group of teachers on stage and the results were incredible. I knew that if VR had that effect on a random group of teachers, then my students would benefit greatly from it. This experience prompted me to contact Google about becoming a pioneer for Expeditions. Google agreed to visit my campus and provide my students with the ability to experience VR while Expeditions was still in beta. During the visit, my students were engaged and immersed in new environments. They practically begged me to get VR started at our high school. I knew I had to bring this platform to my classroom. When I first began the VR journey, I thought Google Expeditions was the only VR application out there. Once I started using VR with my students, I was amazed at how many other applications were using this technology or were trying to make the jump to it. VR is really in its infancy, and companies are consistently utilizing it in new and innovative ways. The best piece of advice I can give those interested in VR is to network. There are so many educators and educational companies who want to help get this technology into classrooms. Educational conferences and social media sites are great places to start the initial research and networking process. I encourage you to consider VR, which has really enhanced the learning in my classroom. The proof of its worth can be seen on the faces of my students. Their world is now much bigger because of it. The following, written by Tracy Perez Shea, describes how Brent’s vision was rolled out in an entire district. Since Brent showed an interest in VR, he and his department acted as the cohort for implementation last school year. During this time, we learned a lot. A particular lesson learned was that all of the devices needed to be on the same WiFi connection. Last spring, it was decided that Cleburne ISD would roll out VR to the entire district. We are a 5A school district composed of 11 campuses: one high school, two middle schools, seven elementary schools, and one accelerated high school. This VR cohort helped to guide the next steps for district implementation. We started our district implementation off with four VR carts. Each cart contains the following: a class set of iPods and Merge goggles and one teacher iPad. We chose to use Google Expeditions as our first VR application because of the ease of use and functionality. Teachers across the district were all extended an invitation to be part of the VR rollout. To become part of the rollout group, teachers had to complete one district-level VR workshop. Four workshops have been scheduled for 2017-2018, two in the first semester and two in the second. The goal of the training is to promote the purposeful use of VR technology. The training is composed of three parts: understanding the technology pieces and how they function together and independently, learning how to develop a VR lesson plan, and receiving hands-on practice with the VR equipment.With this said, the lesson planning components are comprehensive. The teacher is asked to create a lesson plan for what will happen before the expedition, during the expedition, and after the expedition. A lesson plan template is given to teachers during the workshop to help guide the VR events in their classrooms. This thoughtful preparation keeps the VR event creative versus just consumptive. During the training, teachers acted as students (explorers) first and then took on the teacher (guide) role. While they were explorers, they were laughing, turning in their chairs, and sharing with their seatmates how much they enjoyed the experience. Understanding how each side works is important to the teacher preparation and planning process. With the first semester coming to a close, we are quite pleased with the initial VR implementation results. Teachers and students are both enjoying this new learning environment. We look forward to what will happen in the spring semester and the possibilities this innovative avenue will give us in the next school year. Undoubtedly, virtual reality has allowed us to share many engaging and enlightening experiences with our students. The world and its treasures are now within reach at Cleburne ISD. If you would like more information about district implementation, please feel free to contact Tracy Shea at [email protected]. If you want to know more about classroom implementation, please contact Brent Barnes at [email protected]. You may also want to check out this VR video testimonial. The VR story starts at 3:22. 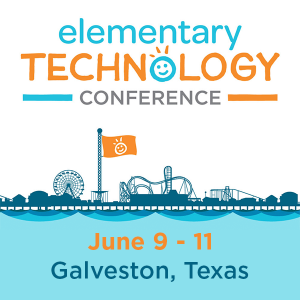 In addition, the TCEA 2018 Convention & Exposition will feature a large AR/VR playground area with presentations and networking opportunities. This is a guest blog by Tracy Perez Shea and Brent Barnes. Tracy is the Secondary Instructional Technology and District Multimedia Specialist at Cleburne ISD. Brent is an AVID Elective/AP Human Geography teacher at Cleburne High School. This month we’re featuring ways you can share success stories in your district. The November TechEdge is all about innovative ways you can communicate what your district or school is doing right. If you’re a TCEA member, keep an eye out for it in your mailboxes soon! In the mean time, enjoy this guest blog describing a powerful program to share video success stories in Cleburne ISD. CISD Matters is a district-wide, bi-monthly video presentation that showcases what students and teachers are doing in Cleburne ISD. It is in its third year of production. The Cleburne ISD Superintendent, Dr. Kyle Heath, was instrumental in starting this initiative at the district level. He wanted the community to see our district stories come to life in a video format. Many lessons have been learned while producing CISD Matters. If your district is interested in developing something like this, please consider the following. First, keep your production short. Shoot for 8 to 10 minutes tops. We try to limit the total number of stories to three or four at the most. It’s also important to capture what’s happening district wide. With this in mind, build a solid team that will select the best stories for your district. At Cleburne ISD, our team consists of Superintendent Dr. Kyle Heath, Director of Community Relations Lisa Magers, and me, Tracy Shea, the District Multimedia Specialist. We work together to choose the best stories for each broadcast. Next, think about your distribution process. How will your students, parents, teachers, and community members see your videos? In CISD, we do this in several ways. The first is by posting videos on the front page of our district website. We want these positive messages to be one of the first things people see. If you post to a website, you want it to run on an online media player. A link will not get the same play. We use SchoolTube and embed the code into our website’s rich text. This embedding process creates the media player we use on the front page. Email is another option. We want to cover all of the bases. Lisa Magers emails the video to the entire district. This method brings the story right to the employees and is just a click away. The last distribution avenue we take is sharing the production through social media. If you use social media, please consider separating the stories into separate videos. As a standard, social media posts need to be short if they are going to gain traction. Again, this was a lesson learned. In fact, I feel social media is probably now one of our most used news outlets, so it is vital to include this communication medium as a distribution option. Finally, the big plus with social media is the sharing mechanism built within it. People can help share your story for you. You also want to consider the production process. For this, I will speak from an AV production point of view. First, your total video needs to be concise. You only have your viewers’ attention for so long. Immediate engagement is key. Second, know that film and photos work together to tell stories. Event photos can easily be used to illustrate interviews. It takes different types of media to tell a story. Next, be prepared to support those you are interviewing. Often, they will need your direction. Sending the script to them before the shoot is a great way to decrease anxiety and help people feel comfortable. But ultimately, it comes down to how they feel when they are with you. Stories come alive when people feel relaxed. As described above, a district-wide broadcast is an excellent way to reach stakeholders. Please know it takes time to get the product you want, but with each episode, improvements typically occur. If you would like more information about CISD Matters, please feel free to contact me. For more communications resources, check out this blog on communication apps districts can’t live without or this one on communicating with photos. This is a guest blog written by Tracy Perez Shea, the Secondary Instructional Technology and District Multimedia Specialist at Cleburne ISD. To learn more about Cleburne, visit their website here. You can also learn more about the CISD Matters program and check out the latest videos at their homepage here. Need to start collecting payments from students, but don’t have a system in place? Take a moment to look at some criteria that will help you select an online payment system for your district. You will also find a short list of common payment systems in use in Texas schools. Over 800 AP exams totaling tens of thousands of dollar are manually processed. The High School Counseling Office expects to handle more than 1,000 exams during the current school year, at approximately $90 per AP exam at full price (slightly less for students on free/reduced lunch). A host of issues have arisen as a result of handling fees by hand, rather than through a web-based automated system. There is a clear need to streamline this process that brings in over $40,000 per year to the district, eliminating student and parent wait times and inconvenience. Given the AP exam fee program’s high participation, an online payment system is needed that addresses these issues. As the technology director, you have been charged with researching solutions and bringing a solution forward. Login identifies or provides for two payment tracks, including 1) free/reduced lunch or 2) regular. Requires student/parent to agree to disclaimer that all payments are non-refundable, etc. What payment processing solution have you adopted in your school district? “All the education in the world is worthless,” wrote an 18-year-old blogger for A Boundless World, “if you never unlock what makes your heart beat.” He asserts that passion, determination, and a positive attitude equal success. This story of passion captures readers and raises a question for communications directors in school districts. If students and communities can easily share what they are passionate about in their lives (via Flickr, Twitter, Facebook, Plurk, or Posterous), will they share stories about school? Content that’s been prefabricated and written in third person is lifeless, but that which is authentic, transparent, and open about success (as well as failure) will be read by your constituents. Start your social media with a story and integrate multimedia such as text, audio, and video. Blend all of it in so that your audience can choose their preferred media. The multimedia portions can be downloaded and put on iPhones and/or Android devices. This is a great way for students, community members, and staff to find out what is going on from others in their organization. Press releases on a website just do not work anymore. Traditional websites that can’t be subscribed to using RSS feeds or that don’t allow email subscriptions are dead sites. Many web users just aren’t taking the time to come back to those sites, instead preferring to subscribe to content that will come to them via Feedly, Twitter updates to their phone, and more. Use a blog (e.g. WordPress) and add plug-ins that make it easy for people to share your content with others. Teach others to use tools like Medium.com, Flipboard, YouTube, Touchcast, and Microsoft Sway to create, share, and respond to content online. In your district, there are many wonderful things happening that your community wants to know about. Unfortunately, providing print copies of short articles via email do not allow you to explore and share everything great that is happening; however, online, you have an unlimited number of pages and a global audience. Why not create a social media content calendar that enables you to map out what you will be sharing with others online? Take it another step forward, and invite your “audience co-creators” to speak and discuss what they would like to see on a content calendar. 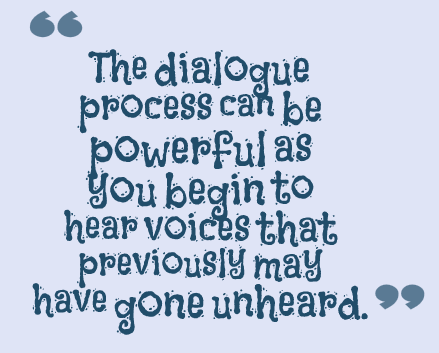 The dialogue process can be powerful as you begin to hear voices that previously may have gone unheard. While it may not be popular to follow your local news reporters via Twitter, it is critical that you do so. You can raise their awareness of the content that you are sharing about your school district. While they may want to focus on the negative, you can mitigate the effect of their tweets by building a relationship of trust and integrity through the stories you share about your district, your campus, and your classroom. Every speaking engagement and every meeting is an opportunity to share your ideas via social media. Avoid the mistake of creating content solely for online or offline audiences. When you create offline content (e.g. a conversation with parents at the morning coffee meet-n-mingle with the principal), take the time to write about it, maybe even debrief a parent in a one-on-one conversation. “What did you think about our morning coffee meeting? How did it impact you?” Take the time to share what you’re doing online. Educators must be more proactive in spreading the word about all of the amazing things we are doing with and for our students to innovate teaching and learning. Encourage your staff and students to learn how to appropriately use social media tools to share their own stories of passionate engagement. Congratulations to Arp Independent School District, awarded second place in the national Digital District program. The award came from the National School Board Association and the Center for Digital Education. Arp ISD took second place in the Small Student Population District Category, which includes districts with 3,000 students or less. Congratulations to Arp Superintendent Dwight G. Thomas and Dr. Joy Rousseau, Director of Technology! Other Texas schools were also recognized, as shown below.